A grant of £800 from the David Shepherd Cricket Trust will help Paignton expand their girls’ section into something more substantial this season. 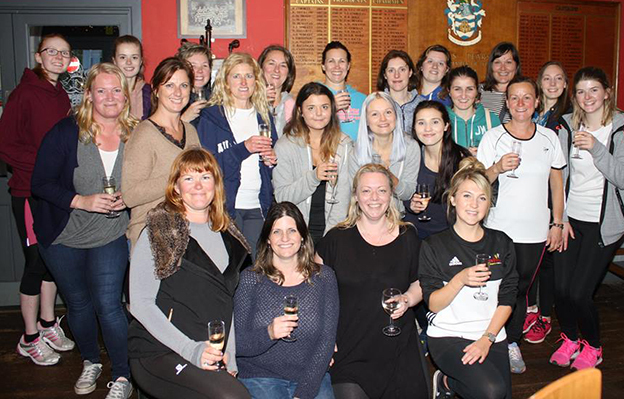 The Wine and Wickets initiative – softball cricket with a glass or two of fizz afterwards – attracted hundreds of ladies and girls to clubs all over Devon in 2017. 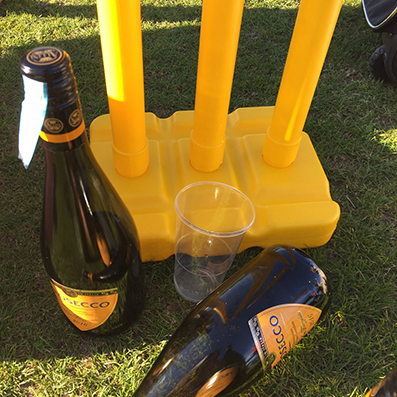 Devon Cricket Board and the Devon Women’s launched Wine and Wickets as a joint venture in 2016 with a handful of clubs taking part and have watched it grow and grow. Paignton were one of 10 clubs running wine and wickets last summer – and more are committed to joining in for 2018. Wine and Wickets has been the springboard to get a girls’ section up and running at Queen’s Park. The problem for Paignton officials is they have acquired a number of ladies too and have to provide for them as well as the girls playing under-15 cricket who will soon be ready for the adult game. That’s a scenario section head Nick Harman has anticipated and wants to be ready for when the time comes. Harman said that thanks to the grant from the DSCT, Paignton are now able to plan for the future. “We made a successful start to ladies cricket with 51 ladies and girls attending at least one Wine and Wickets session,” said Harman. “There were 27 ladies who played softball cricket and 23 more played in hardball friendlies for the first time. Harman said Paignton has a three-year plan aimed at creating a player pathway from under-11 through under-13 and under-15 sides to a women’s squad. The plan envisages two adult teams: one playing league matches and the other friendly cricket. “We want to give our under-15 girls the opportunity to carry on playing cricket,” said Harman. “Over the next two years, 15 of our girls will pass the under-15 age group, one has done so already, and therefore they will have no local opportunity to continue playing cricket. “We offer the only girls’ cricket in Torbay and there is currently no ladies team in the area. “Our players include girls who play cricket primarily for social reasons, club cricketers and a growing number of district and county level cricketers. “The grant will help us to ensure we have appropriate training resources for our girls and young ladies. Contact Harman at nharman1@virginmedia.com with membership enquiries.